This year's tech presentation also promises something special too. 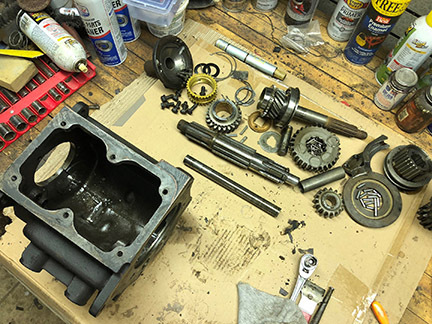 Well known Willys Jeep collector and restoration expert, Joe Deyoung, will be demonstrating the rebuilding of a Borg-Warner T-90 transmission under the big tent. We will not only be raffling off the transmission that he rebuilds, but we will also be raffling off two chances for you to bring your own T-90 and work alongside Joe and other volunteers to rebuild your transmission — with a master kit provided by the Willys Reunion. 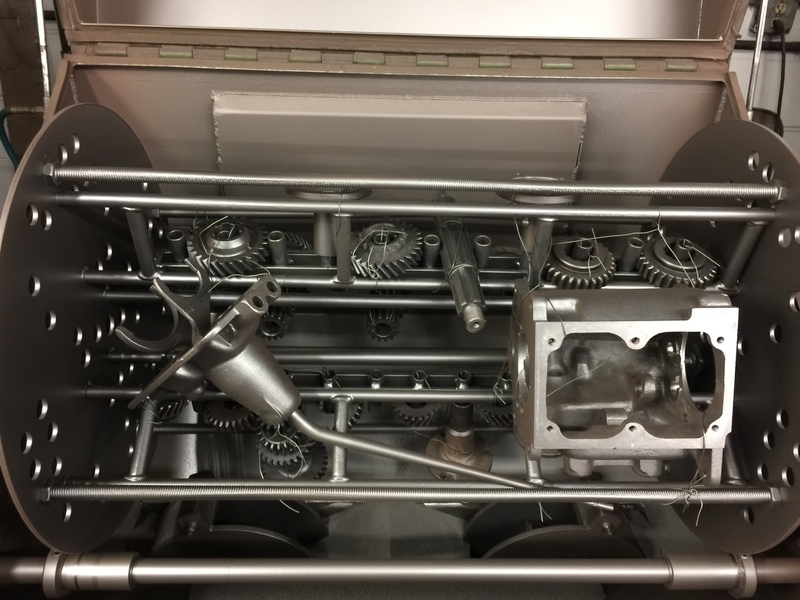 The teardown of the transmissions will take place on Friday and the reassembly will be on Saturday. 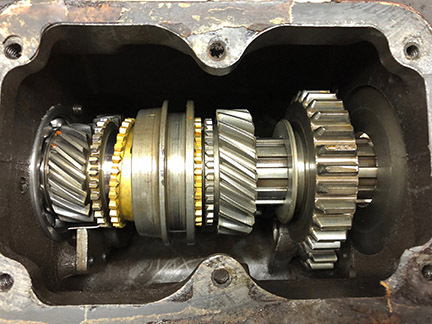 SPECIAL EVENT: We will be re-building a complete Borg-Warner T-90 3-spd Transmission onsite. After completion, the T-90 will be raffled off during the banquet on Saturday night. For more information please visit our website at www.WillysReunion.com, click on the “Spring” tailgate icon. Here is a quick update about events happening at the Spring Willys Reunion, taking place at the Bertram Inn, Aurora, Ohio May 17-18, 2019. Guest speaker Jeff Nelson visited the site and took measurements for the installation of his “When Wagoneers Roamed the Earth” display. This 40 plus panel display will be loaded into the ballroom Thursday evening and Jeff will be available all-day Friday and Saturday on site for questions and to share some of the stories he has after lifetime love affair with full size Jeeps. 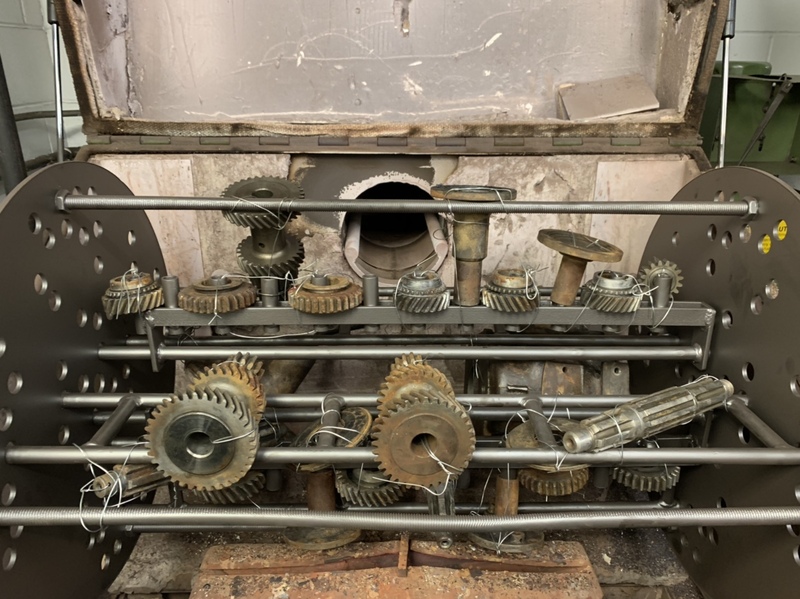 Joe Deyoung has been tearing apart and putting together a T-90 transmission to make sure the transmission clinic build goes smooth. Then you really need to buy a raffle ticket. 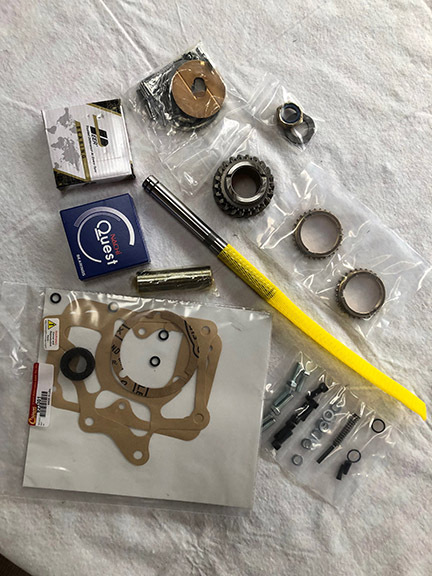 We will be using master kits provided by Novak and will be providing some gears to our two rebuild winners as needed. 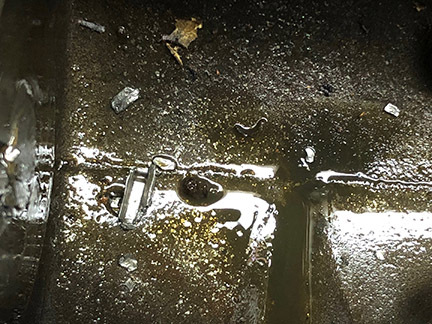 A local transmission shop will provide a hot tank cleaning of the transmission parts on Friday. Here is a photo of a torn down t90 and the Novak master kit. For the picnic Friday night, this year we are doing something a little different. The Saturday lunch wagon is a local BBQ master who will be smoking pork Friday at midnight. He will also be cooking the Friday night picnic fare on his smoker. After the picnic, Barry Thomas will do a very short presentation in the ballroom. He managed to locate an original Jeep marketing film, “Revolution in Pleasantville,” while on a trip to Franc. The film shows a Jeep, Monroe Lift and Newgren Lift Demonstrations that took place in 1949. This film was shown to audiences on May 13, 1949. We will get to see it again just over 50 years later! Registrations are rolling in and things are really coming together for the show. We have lots of support from vendors big and small. Scott, what route are you taking to get to the reunion? Anywhere close to Massillon?